among the Anak Dalam tribe. 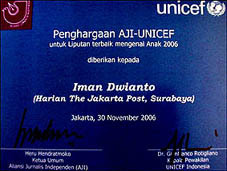 3rd Winner of UNICEF-AJI INDONESIA competition of 2006. Radio Netherlands Training Center (RNTC) 2010 on Netherlands. International Center For Journalists (ICFJ) of 2010.
International News Safety Institute (INSI) of 2009. 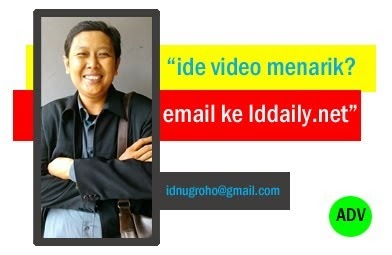 Participant of Edward R. Murrow Program of 2008 on US. Political Tracking of 2005 Election. Writer of Undaan Eye Hospital.